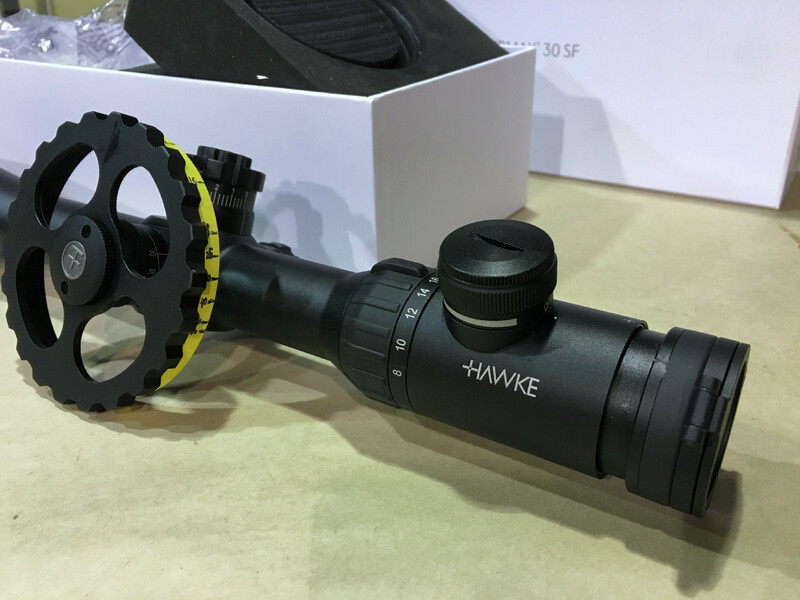 I'm selling my 2-month old Hawke Airmax 30 SF 8-32x50 AMX scope because I suddenly found myself with a bit of extra cash and bought myself the ultimate (at least very good!) 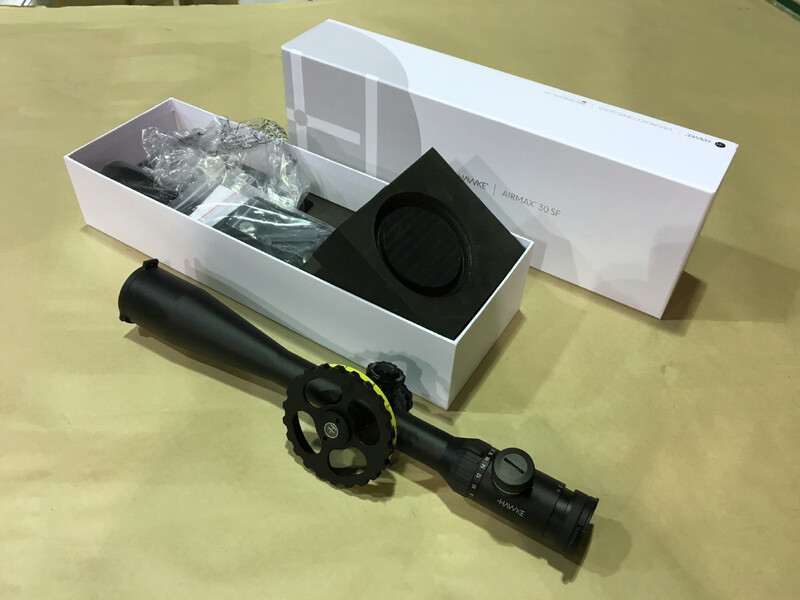 replacement for it, a Sightron FT scope. But this is an excellent scope just the same. I'll leave the yellow tape on the large side wheel in order to save the buyer from having to calibrate it himself. This is just a cloth tape and if you want, is really easy to remove. I used an actual tape measure to calibrate the scope so it's pretty darn accurate. And if you use "clicks" to adjust for different distances, this is a high quality scope and it will return to the zero position accurately. Not a mark on it. And I have the original box and everything it came with. I'll sell it for $430 firm, SHIPPED within Canada. It's selling new for $530 PLUS taxes and shipping, so $430 is a really good deal. And as I said, there's not a mark on it.